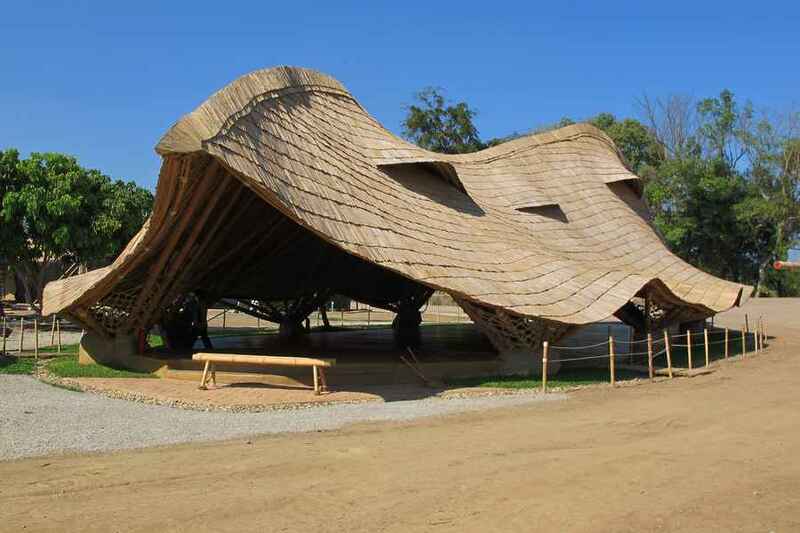 El Nino + Storm Frank River Damage – How Can Architects and Planners Help? 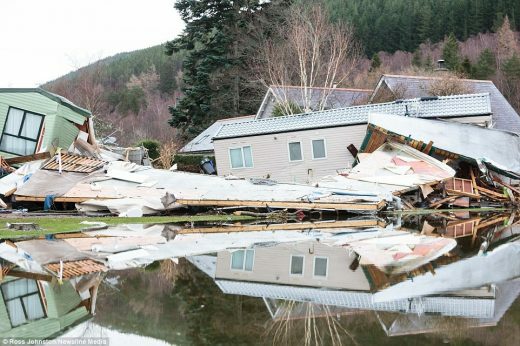 Key architectural impacts around the UK resulting from recent storms – focused on the latest one, Storm Frank. El Nino has increased the probability of increased frequency of Atlantic depressions crossing the UK and wetter-than-average conditions. There is a clear shift towards above-average rainfall. Climate experts warn that this El Nino will probably become the strongest ever on record. – what are the councils with a resettlement plan to move inhabitation away from rivers and flood plains? 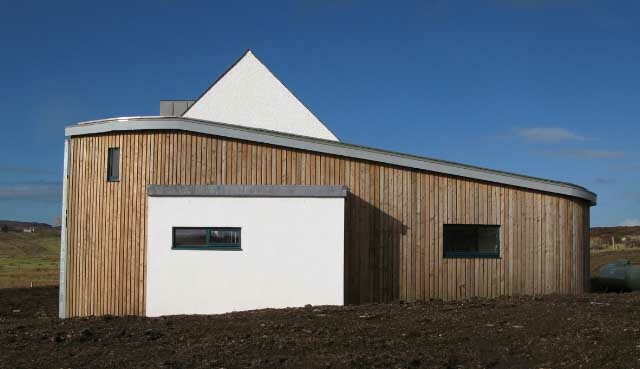 – have there been any recent planning approvals for major development on flood plains? – what are the good examples of architectural solutions, eg Amphibious House by the River Thames that can float on rising floodwater? Clearly we should immediately halt building flood-prone homes. The tough bit will be relocating communities away from flood-prone zones (the definition of which needs re-assessed but will always be debatable). Government and Community leaders need to engage stakeholders and planning experts to devise a good plan within a short timescale to prevent further loss of life. 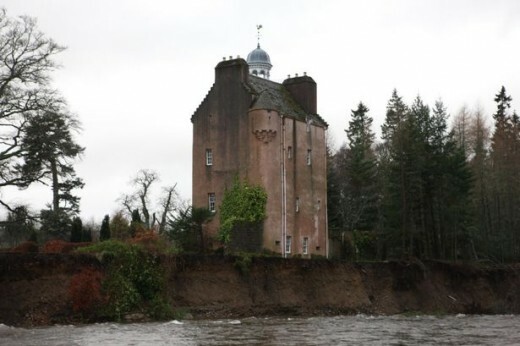 Abergeldie Castle is just one of the homes at risk after the River Dee swept away land, leaving the historic building feet from disaster. The Grade A-listed four-storey building is now just feet from the new steep bank to the River Dee. Emergency crews were desperately sandbagging river banks and homes in affected areas. 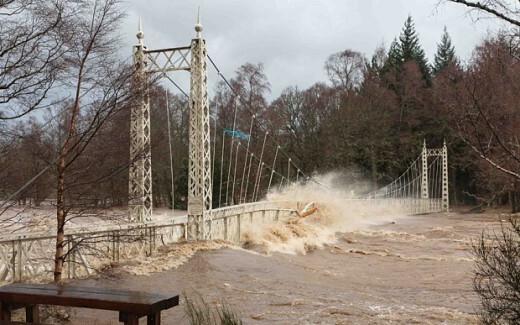 Storm Frank led to the flooding last Wednesday that caused havoc in Ballater and washed away the A93 along the North bank of the River Dee two miles east of Crathie. 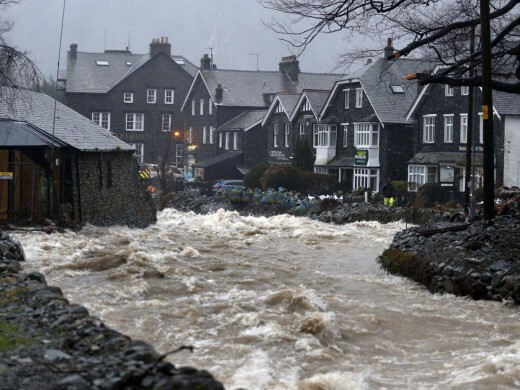 A view of the Ulls Water in Glenridding, Ullswater, Cumbria, North West England, as Storm Frank begins to batter the UK. Our attitude to rising sea levels remains as defensive as ever. With 20% of British homes now at risk, this is a mistake, reports Building Design (BD) in an article from 4 September 2015. Ten years on from Hurricane Katrina – one of the worst predictable floods in history (unlike the Boxing Day tsunami in 2004) – what has changed? Climate experts warn that El Nino “will more likely than not become the strongest ever on record”, reports the Express. Flooding apparently results largely from the El Nino, which is caused by the warming of the Pacific Ocean. There is clear shift towards above-average rainfall. El Nino moderately increases the probability of increased frequency of Atlantic depressions crossing the UK and wetter-than-average conditions. The last El Nino in 2009 apparently led to the deaths of more than 25,000 people. 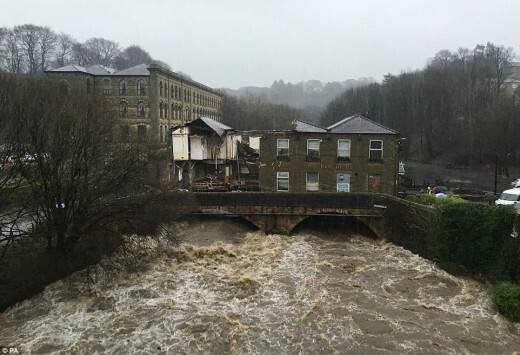 Architectural adaption and government strategy will be essential to tackling flooding, argues an RIBA report on the future of insurance, reports the RIBA Jounal. After a month of flooding the Met Office has issued further warnings of extreme weather as homeowners assess the damage. The now famous Island house has now fallen victim to the floods after its owner said that the water has gotten into his home and is rising by six inches a day.